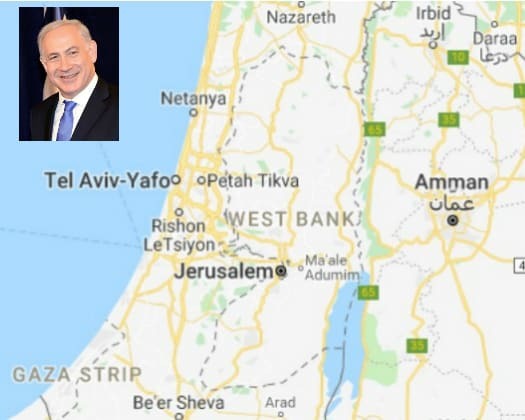 Question: How do you think President Trump’s recent recognition of the Golan Heights as sovereign Israel land come into play with Israel Prime Minister Benjamin Netanyahu’s bold announcement that he will formally annex the West Bank? Answer: While Israel is a sovereign country and not the 51st U.S. state as some people claim, it can and does what’s in the best interest of Israel but it certainly helps to have the support of the leader of our strong ally, the United States and I’m sure that was enough to tip the scales for our prime minister to make this correct yet overdue decision. Question: While Netanyahu has promoted Jewish settlement expansion during his four consecutive terms, he has never before vowed to formerly annex land that prior U.S. [residents had proposed to make Palestinian land in a so-called Two State Solution. Could this proclamation be perceived as ‘too little too late’ or even as a ‘desperate’ or ‘implausible’ move by the prime minister? Answer: It’s certainly not implausible. It’s the right move and the right time. We’ll know on Wednesday if Israeli voters view it the same way. Question: What will the so-called Palestinians do in response to this announcement, and even more, what might they do if Israel does formally annex the West Bank? Answer: They will do what they always do: Object to Israel having any land. Their goal is to see Israel cease to exist and have been working toward dismantling it piece by piece with false promises of land for peace. Question: As mayor of Shiloh, Israel, a West Bank, how was that experience different than being a mayor of a ‘regular’ city in Israel? Answer: We had challenges with infrastructure such as electricity and water, just like in other cities, but not being officially part of Israel gave us unique challenges. I welcome this new and rightful change. Question: Currently, about 400,000 people live in the war-won West Bank. What exactly is the West Bank? And does it include any familiar ancient biblical lands? Answer: Most people will remember from Temple or Sunday school the ancient lands of Judea and Samaria and Hannah and Joshua. The West Bank is ground zero for all of those names and more. Bottom line: Do I think the West Bank annexation vow will be enough to put Benjamin Netanyahu over the top? Answer: Maybe or maybe not but that really doesn’t matter because in Israel we have a parliamentary democracy where we vote for a party and not for individual candidates. This system allows Netanyahu to lose the vote but win the election. The way it works is that the leader of the party that gets the most votes is usually given the first chance to negotiate with the other parties to form a governable coalition. If he fails after twenty-one days, the second-place winner is given the same opportunity. Success also depends on political breakdown. Netanyahu’s Likud Party may or may not get the most votes, but the right-of-center parties are expected to get more votes, and they prefer Netanyahu. Therefore, he is likely to have the best chance of forming a workable new coalition. My new book, “Trump and the Jews”, addresses this issue and the USA-Israel relationship in the age of Trump.